Last year, JAPAN Style introduced an iPhone app called Spothon. This app was for sports fans to share their feelings with other fans (^^). 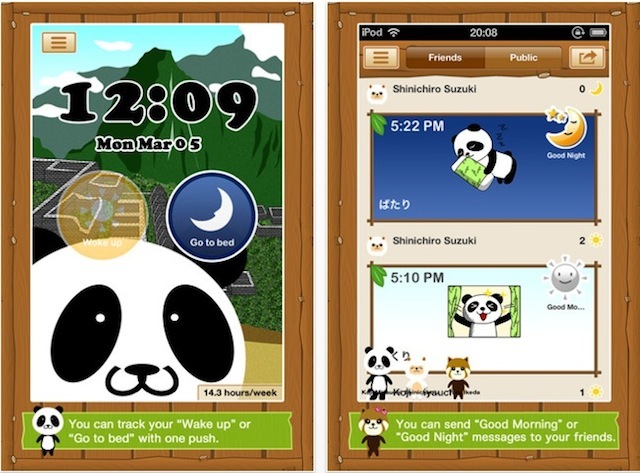 And this time, the same Japanese app maker has released a cute app called “Panda Call”. Look at this kawaii panda and other characters XD! How cute! You and your friends/family greet each other using this cute animal character crew (panda bear, alpaca, sheep, bear, camel, red panda) . Many people enjoy having small conversations just saying ‘good morning’ or ‘good night’ on Twitter and Facebook as well. So, I think Panda Call might provide a similar kind of warm experience. What’s more, you can have a group chat as well. Here is the promotional video. Please take a look! – Requirement: Compatible with iPhone 3GS, iPhone 4, iPhone 4S, iPod touch (3rd generation), iPod touch (4th generation) and iPad.Requires iOS 4.3 or later.